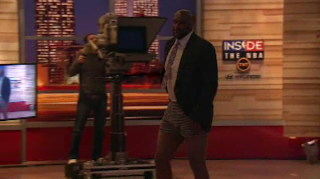 Shaquille O'Neal, the big analytical, has been hit or miss in his analysis on 'Inside the NBA' but he has been forging a strong chemistry with the crew of Ernie Johnson, Kenny Smith and Charles Barkley (who has been fancying a tie this season). And so Shaq and Barkley a week ago made a bet of who would perform worse between Blake Griffin, who Shaq had, and Kevin Love, who Barkley had, when they met a week ago on Friday night. The loser had to go pantless for the next show. Griffin went for 21 and 10 while Love went for 17 and 14 but his game winning three gave him the difference. 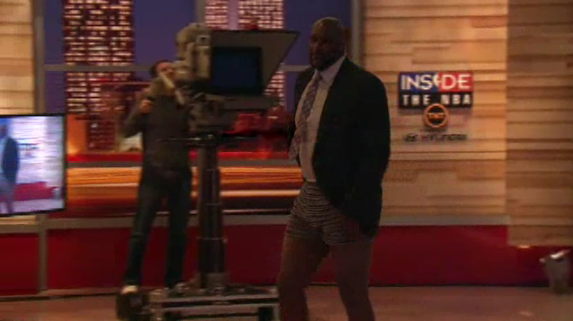 So that meant Shaq had to go pantless. Let's go to the videotape (good stuff starts around 2:50). Because everything is better without pants.